Today I salvaged a 2001 Apple PowerMac that was no longer needed and had not been in operation for a couple of years. There was a lot of dust in the machine, and nobody had crendetials to login. So I cleaned out the hardware, replaced the CD drive with a DVD drive, and installed a new copy of OS X 10.4.11 "Tiger", iPhoto from iLife '08 and Pages from iWork '09. The machine is going to be used for web browsing, simple photo editing, and maybe some writing. I find it quite amazing that a machine this old can still look so good. 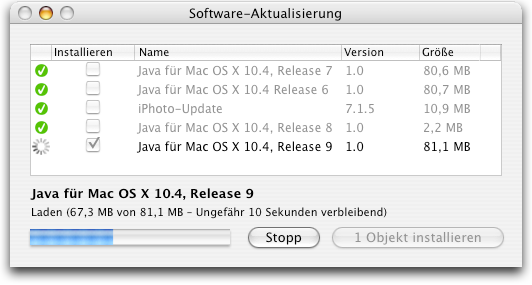 And yet it would be outpaced by the smallest Mac Mini. Still have a PowerMac Cube (2000) and a couple of PowerMac G5s (2005) running here... Sure, they're no longer fast, but given the amount of good Mac software that is still available for the PowerPC chipset, they make wonderful systems for the kids and as backups in case more modern systems. PS. Hating your comment delay system, is there no other way? I still have an iBook from that time, for browsing PDF manuals in the garage. But I curse it frequently because it's so slow. 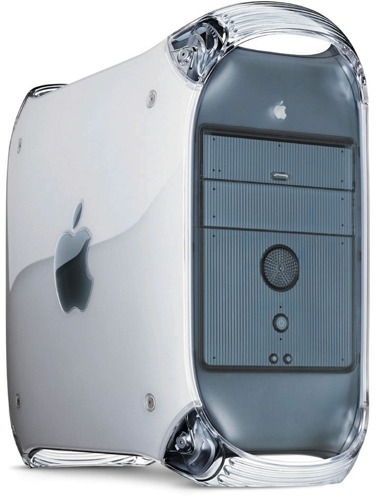 I still have an old Power Mac G5 (2x1,8ghz) standing beside my MacPro. I don't use the machine very often, but the thing is still doing a good job. yep, about 3 years ago I gave my old PowerMac G4 to my mother and she still uses it every day for browsing and email and OpenOffice ... happy camper she is... and me too, as I hardly have any family support on that side anymore since she moved to the Mac.